Humbucker with reversed wound coils. 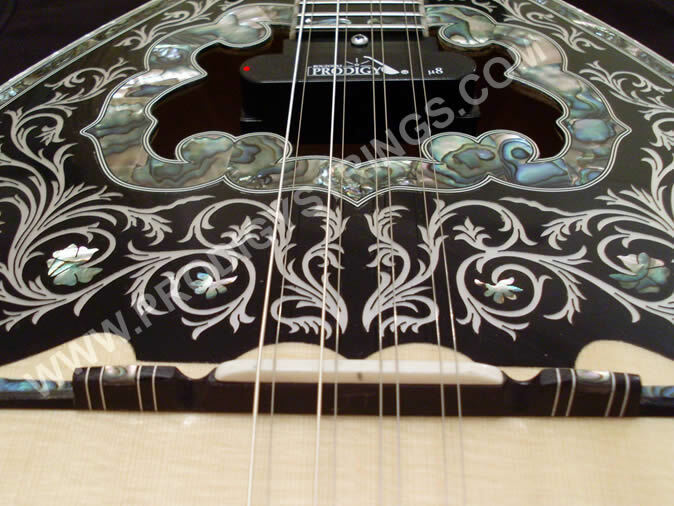 This is the most powerful active pickup on the market for Bouzouki. Inside the pickup is a specially designed pre- amplifier ( a 9v battery is required which has a life of between 120 and 150 playing hours) which gives you a superb balanced sound of all the strings reproducing a crystal clear sweet acoustic sound with the added drive of the electric ‘live’ sound. A truly remarkable pickup that responds to your plectrum technique and your detailed finger work on the fretboard giving an amazing sensational feeling to your finger tips. The µ8 is complimented with a small red l.e.d which indicates when the pickup is active. 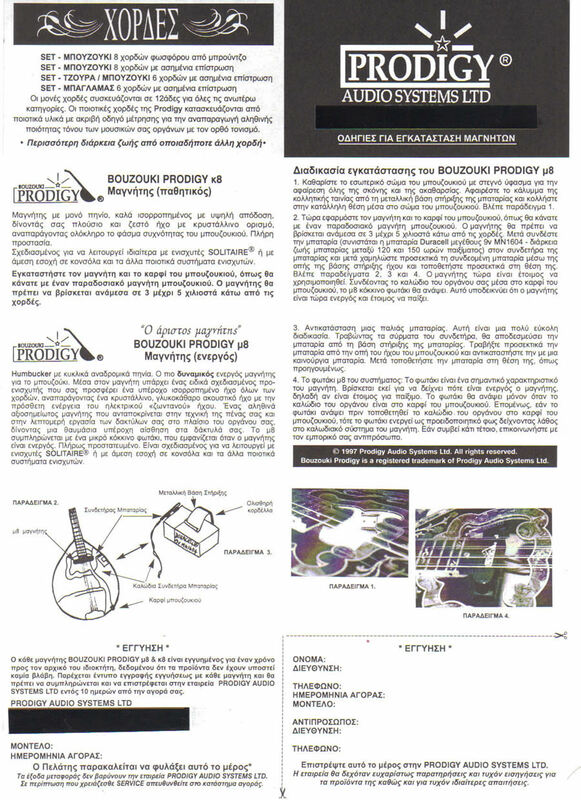 Fully shielded to eliminate any hum and buzzing noises. Designed to work in particular with the SOLITAIRE® amps, or direct input to a mixing desk and most other quality amp systems. 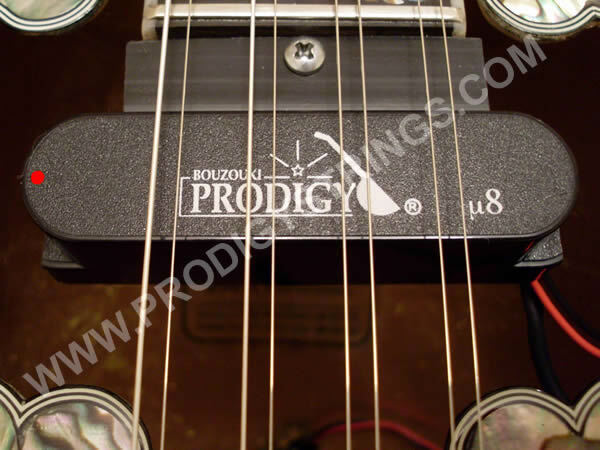 The Bouzouki Prodigy µ8 pickup was designed using Prodigy Strings. 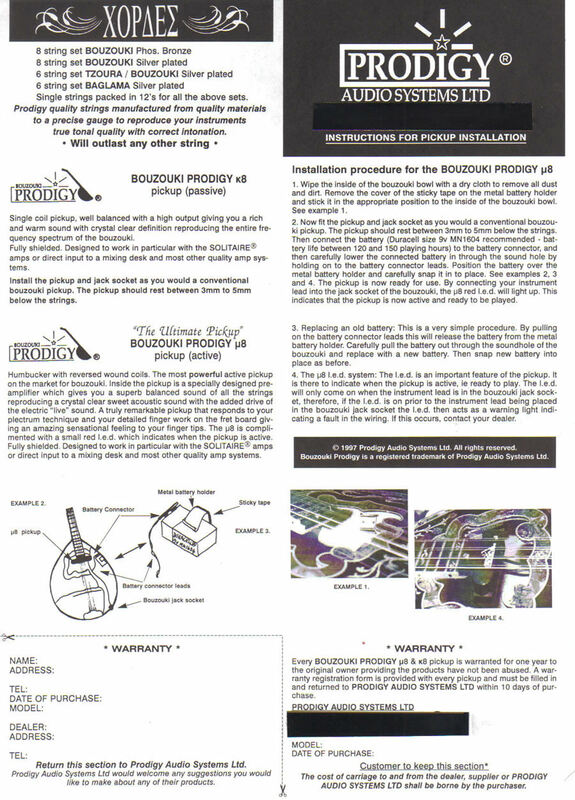 To obtain the optimum sound from your pickup we recommend that you use Prodigy Strings, choose a set from our full range of Bouzouki strings.